Has signed the SSE Commitment Letter? Requires ESG stating as a list rule? 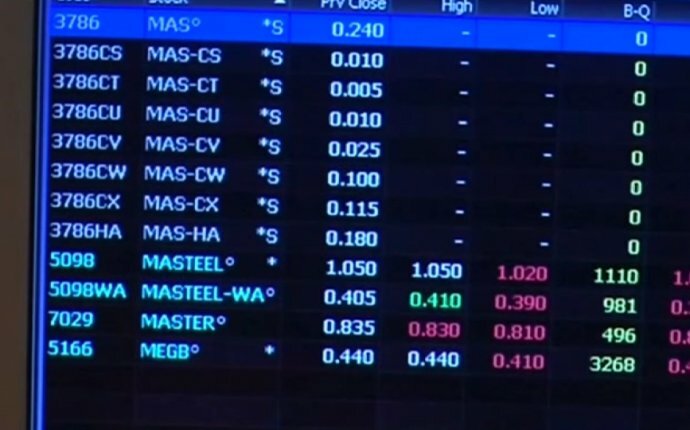 Yes;In October 2015, Bursa Malaysia granted amendments to your Main marketplace Listing demands (“Main LR”) and ACE Market Listing demands (“ACE LR”) (collectively known as the “LR”) relating to sustainability statements in annual reports (“Sustainability Amendments”). Under the durability Amendments, listed issuers are required to reveal a narrative declaration for the management of material financial, ecological and social (“EES”) risks and possibilities (“Sustainability Statement”) within their yearly reports. This replaces the prevailing statement regarding corporate social responsibility (“CSR”) activities or practices expected to be disclosed by listed issuers.For the key Market listed issuers, also, they are needed to include in their Sustainability Statement, the prescribed information as set out used Note 9 of the Main LR including the governance structure, the scope of Sustainability Statement while the handling of material EES risks and opportunities (“material sustainability matters”). The prescribed disclosure is certainly not applicable to ACE Market indexed corporations given the type and size of the listed corporations. Besides the overhead, the LR in addition encourages all listed issuers to mention into Sustainability Reporting Guide (described the following) as a best training when preparing the Sustainability report plus in pinpointing material sustainability matters. The Sustainability Amendments simply take impact on a staggered foundation over a period of three years, beginning 31 December 2016 to 31 December 2018. Principal Market indexed issuers with market capitalisation of RM2 billion and above as at 31 December 2015 or perhaps the time of their entry to the Exchange in 2016, have to disclose their durability Statements in yearly reports released for financial 12 months closing (“FYE”) on or after 31 December 2016. All the other Main Market listed issuers are required to reveal their particular Sustainability Statements in annual reports issued for the FYE on or after 31 December 2017. ACE marketplace listed corporations are required to reveal their particular durability Statements in yearly reports given the FYE on or after 31 December 2018. Listed issuers are highly encouraged to adhere to the Guide as an ideal rehearse. The guide is further supplemented by 6 Sustainability Toolkits on Governance, Materiality evaluation, Materiality Matrix, Stakeholder Engagement, Stakeholder Prioritisation Matrix and Themes & Indicators ("Toolkits"). The Toolkits provide step-by-step help with, amongst others, just how to establish governance procedure for sustainability, do a materiality evaluation, determine and engage stakeholders. The Guide and Toolkits exchange the "Powering company Sustainability - helpful tips for Directors" published this year. After the launch associated with the brand-new sustainability framework in 2015, Bursa Malaysia embarked on a comprehensive awareness building initiative amongst detailed issuers and institutional people, which includes organising some durability programmes for listed issuers. Within regards, Bursa Malaysia created a Sustainability Engagement Series for 2016, with programmes customised for primarily 2 categories of participants: detailed issuers' administrators, CEOs/CFOs, and Chief Sustainability Officers/practitioners. The show is supposed to enhance members' comprehension of the signficance of embedding durability into business strategy and implementing sustainability through the entire organization (including organizing them within their sustainability disclosures pursuant to your amended Listing Requirements). Bursa Malaysia's Education and Awareness Programmes Calendar 2016 (which includes training associated with business governance and sustainability) can be acquired here. @Reuters so what say you?..getting billionaires to fluctuate the stock market not working for YOU?